Discover the majestic gates and ancient history of Meknes, the ancient capital, and walk through the surviving ruins of Volubilis exploring the oldest buildings and Royal Moroccan architecture. Your Day Trip from Casablanca to Meknes Volubilis starts by picking you up from your Hotel in Casablanca then travel to Meknès & Volubilis passing by the most captivating natural views. First, we will stop in Meknes, the 17th-century capital built by the Sultan Moulay Ismail to be one of the magnificent walled cities in Morocco. 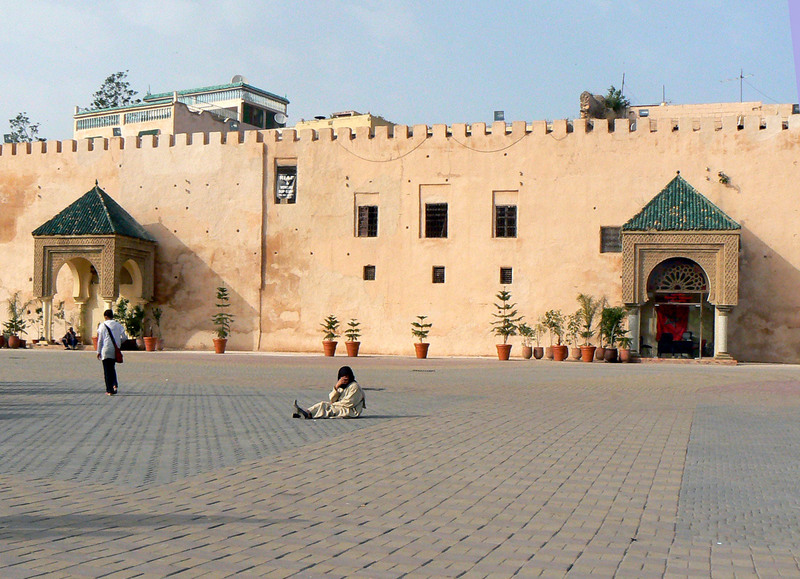 Our team will introduce you to Bab El Mansour Gate, and the triumphal arch said to be the most beautiful in Morocco. Next, we will wander through Place El-Hedime (Square of Ruins), exploring the streets of the old Medina and the ancient kasbah. Our team will walk you through the residential buildings and crowded squares before visiting the Musée Dar Jamaï, seeing its fabulous museum discovering its modern Moroccan arts, woodwork, ceramics, carpets, costumes, jewelry, and metalwork. You would be also introduced to The Bou Inania Medersa, the most fascinating beautiful Koranic school dating back to the 14th century. After exploring the granaries, the royal stables and the underground monuments of Meknes, we will continue towards Moulay Idriss Zerhoun, the holiest Moroccan village, founded by Idriss I, the first to bring Islam religion to Morocco. The little beautiful village has the oldest religious monuments and the most beautiful natural views. Next, drive to Volubilis the ancient Roman Ruins dating back to the 3rd century BC. 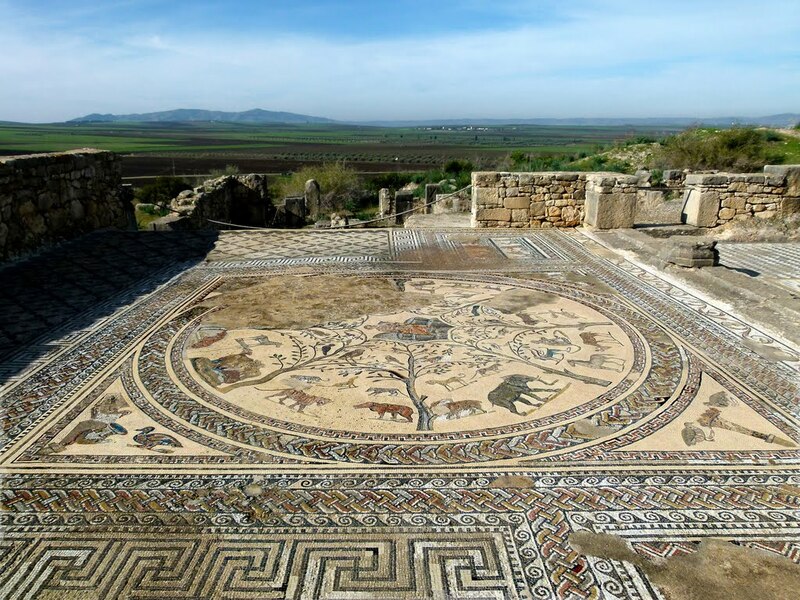 Volubilis is an epic destination to discover the majestic architecture and mysterious of the Roman empire, known for its royal mosaics, magnificent foundations, pillars, walls, carvings, and fascinating arch. 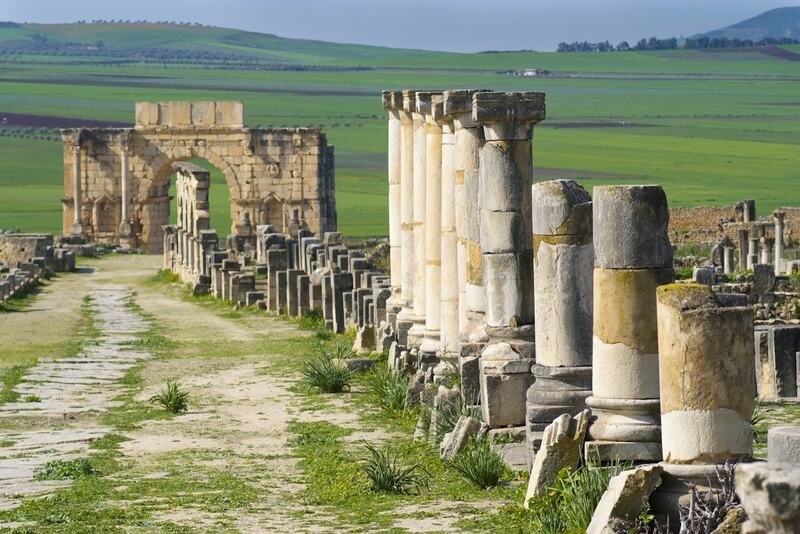 On your Day Trip from Casablanca to Meknes Volubilis, you would be taken back into history hearing the most impressive Roman Stories, and discovering the ancient historical sites and surviving monuments. You will be also having some free time to feel the Roman vibes and take some lovely pictures. Our enjoyable Casablanca to Meknes Volubilis Day Trip ends by driving back to Casablanca passing by the most beautiful views and changing landscapes. The 17th-century old capital known as The Moroccan Versailles. Meknes is a beautiful fortified city surrounded by majestic walls and featured by the most impressive historical sites and mysterious underground monuments. Meknes is also a perfect place to discover more about the ancient Moroccan history and royal architecture. 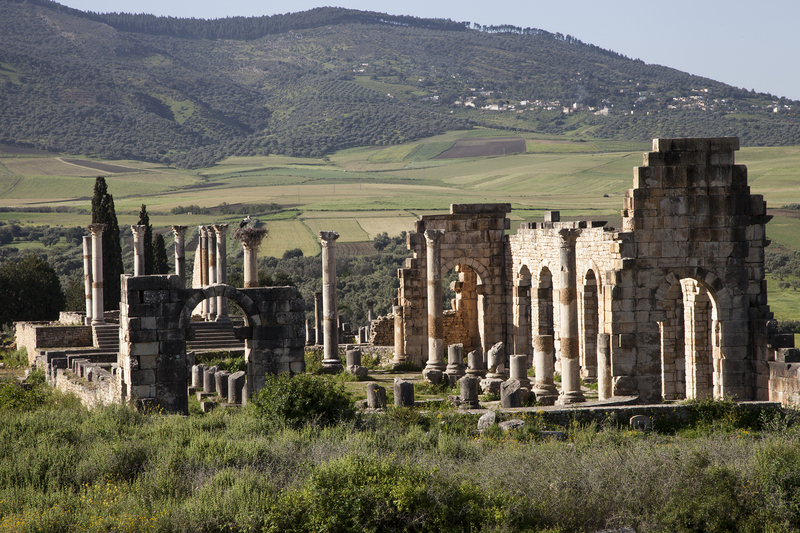 Next to Meknes, we find Volubilis, an old Roman Ruins dating back to the 3rd Century BC, offering the most impressive Roman gates and royal surviving ruins. The historical site offers an inspiring glimpse of Roman history and architecture.